SOCIAL MEDIA and MINISTRY has been read on the subway, taught in a seminary, and mentioned in the New York Times! See what all the excitement is about. "I was astonished when I first observed on YouTube that someone at Calvary Chapel Church had become a committed Christian on Twitter! Twitter? You got to be kidding me! ​"Bishop T. D. Jakes is all over YouTube teaching and preaching incredible sermons! And many of his videos have gone viral. ​"Bing! A paradigm shift is taking place in the church, right before our very eyes. This is no longer church as our fathers and mothers knew it. Something new and exciting is happening in the church today. Whether we realize it or not, a major shift is taking place this very moment." Hi! I'm Kenneth Lillard, author of the book SOCIAL MEDIA and MINISTRY (Amazon, Barnes & Noble, and iTunes.) 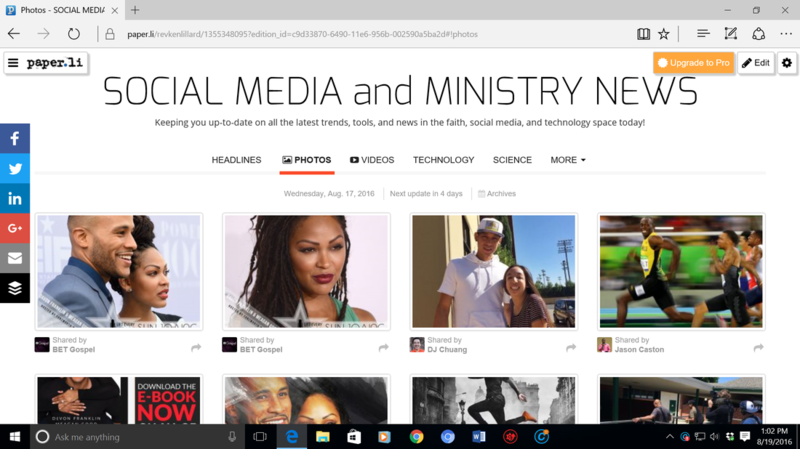 ​I invite you to check it out, and stay up-to-date on all the latest news, tools, and trends in the faith, social media, and technology space at my new online publication SOCIAL MEDIA and MINISTRY NEWS!